VL offers a free library of resources. Educate your business the most important topics in the omnichannel retail, supply chain, and data integration industry. Trusted, thorough, and always free. Looking for in-depth information on Marketplaces? Your business is scaling rapidly, and expanding your ecommerce channels is a great way to get in front of a large and often international audience. Approaching any new channel with as much information in hand is crucial. Download VL’s how-to-guides to stay informed! 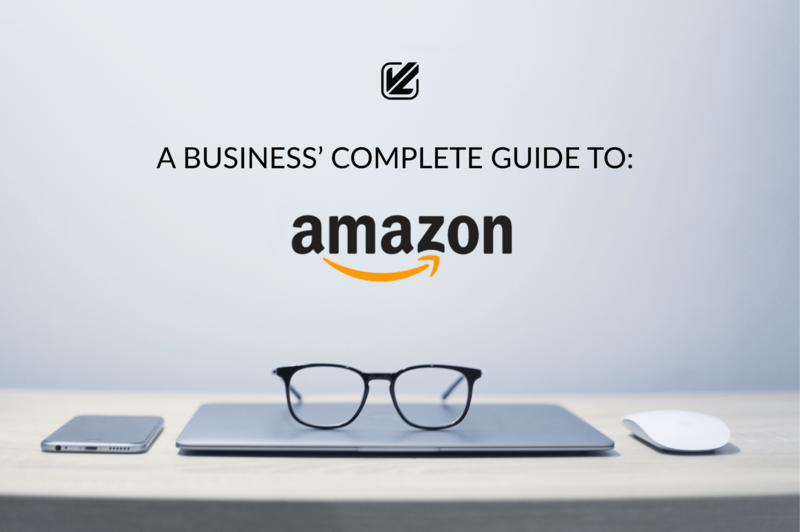 In this free ebook, we look at everything your business needs to know about Amazon at a high level, leaving you more prepared for taking steps to bring it into your business’ folds. 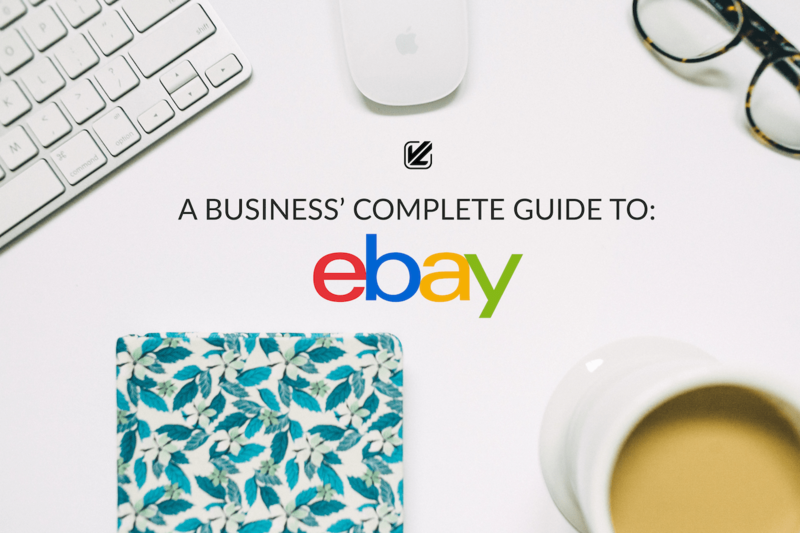 Learn everything you need to know for selling into the eBay marketplace, from individual sellers to enterprises, including a full breakdown of the new eBay Seller Standards. 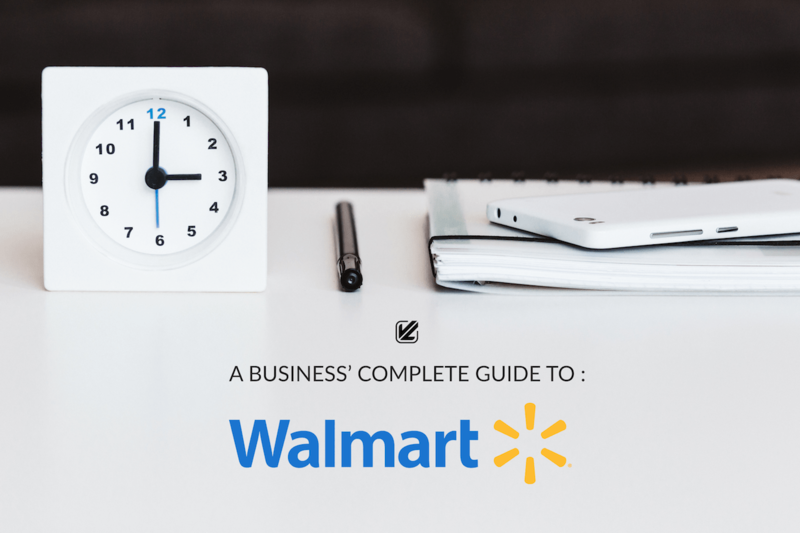 This guide provides growing SMBs with a road map to the Canadian Best Buy Marketplace in Canada. Although this channel targets the Canadian omni-channel consumer, it is being quickly adopted by international businesses. Read VL OMNI’s How to Guide on the next steps should be in incorporating Jet.com, and Walmart.com, into your existing omni-channel mix. 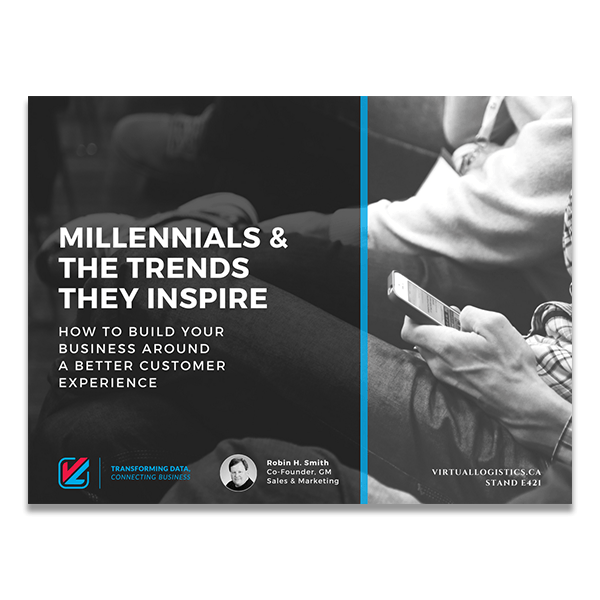 Download VL’s Ebook full of in-depth analysis, expert advice, and key best practices so that your business can learn how to make the most of your growth! Our ebook presents to you a real-life story (and accompanying analysis) from real customer shopping on BFCM. This ebook breaks down the more important considerations for improving your BFCM is evaluating your integration strategy. VL presents a case study that focuses a real company’s challenges it comes to upgrading a technology stack and data integration methodology. 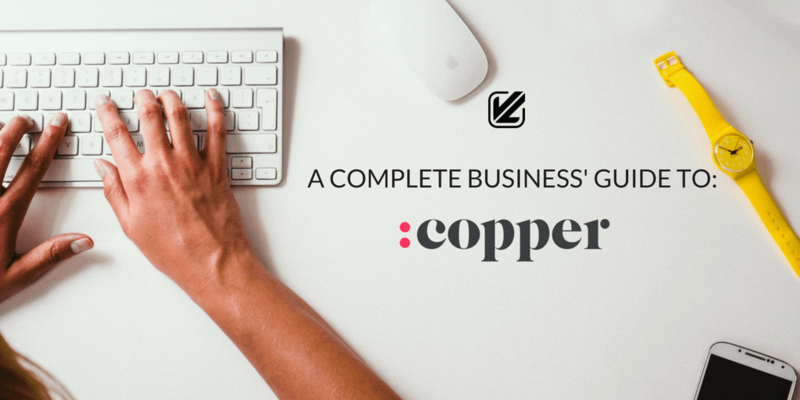 Download the case study full of in-depth analysis, expert advice, and key best practices so that your business can learn how to make the most of your growth! Originally presented at the Shopify Plus Meetup in Toronto, We’ve distilled the presentation given and focused it on only the essentials. 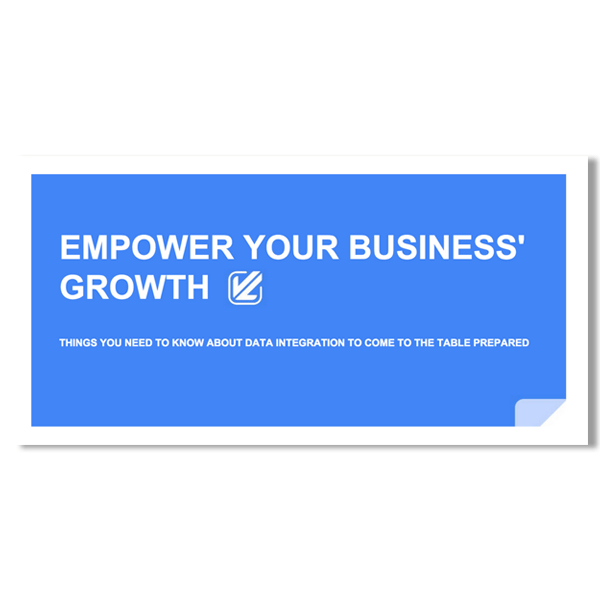 Businesses can learn and educate themselves before coming to the data integration table prepared to accelerate growth. The term ‘big data’ has been floating around the web, dissected on the conference circuit, and whispered in back rooms of offices. But what is it, why does it matter, and does it even apply to your business? Looking to answer pressing big data questions from an SMB point of view, VL’s latest ebook interviews 8 thought leaders and big data experts to get the answers to the questions everyone is asking on big data. 7 Questions Series Ebook, Volume 1 is filled with illuminating experiences, testimony, and insights. 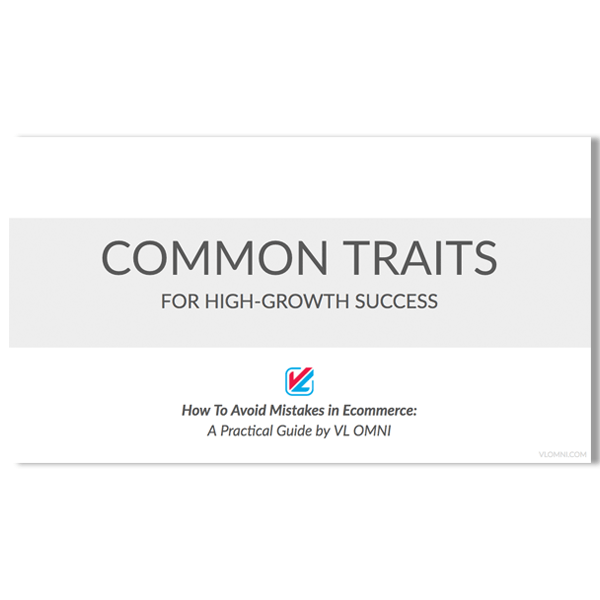 This ebook is introduced by Jim R. Orlando, Managing Director of OMERS Ventures. 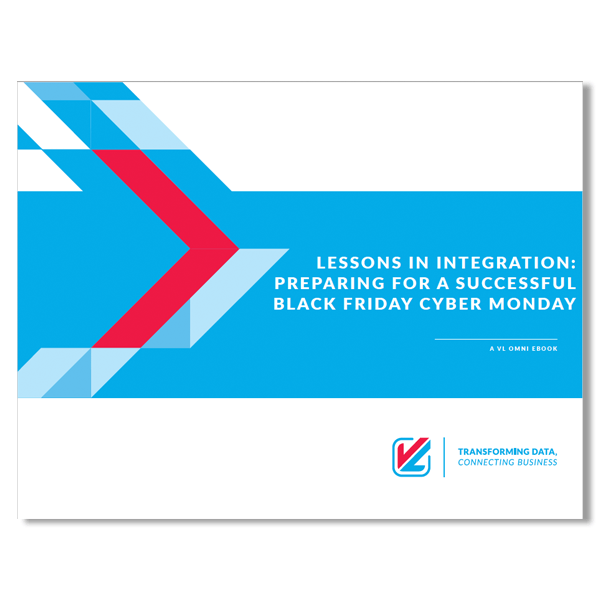 Chapter summaries and VL’s conclusions have been added to each chapter so this ebook is a must-have, must-read for anyone interested in, involved directly in, or curious about ecommerce and supply chain data integration. 7 Questions Series Ebook, Volume 1 is filled with expert opinions on everything from data to technology to future predictions. This ebook is introduced by Warren Whitlock, Influencer and Growth Advocate. Chapter summaries and VL’s conclusions have been added to each chapter. This book is a must-read for all companies from all industries! 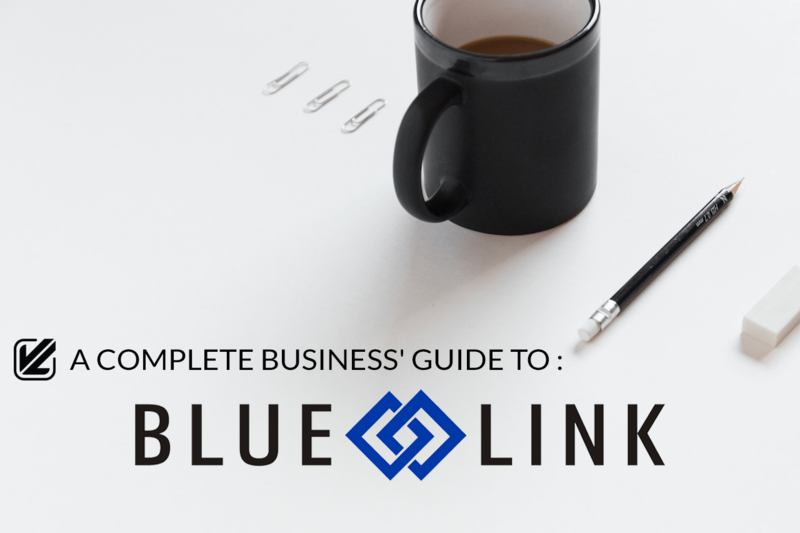 Whether you’re new to EDI, or are looking for a new EDI solution, this ebook is for you. Covering EDI from all angles, this VL OMNI Ebook discusses trends, common pitfalls, expert advice, practical applications and more. This whitepaper includes a real-life case study from a VL OMNI customer who learned how your data integration strategy can affect your business in incredible ways — both negatively, and positively. Based on Presentations VL has given at exclusive events, download our thought-leadership presentations that speak to the state of ecommerce, integration, and ways to empower your business. With 23+ years of integration and ecommerce technology experience, VL gave a presentation at Prospershow in Las Vegas, Nevada to an audience of top Amazon sellers from around the globe. 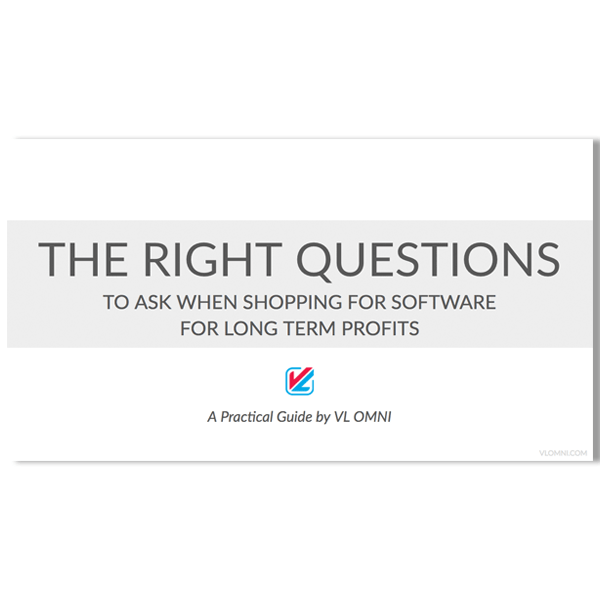 Our presentation, ” The Right Questions to Ask When Shopping for Software for Long-Term Profits” was received with great enthusiasm. Attendees left with insight that can be implemented almost immediately. This well-received presentation was given during VL’s UK Roadshow. 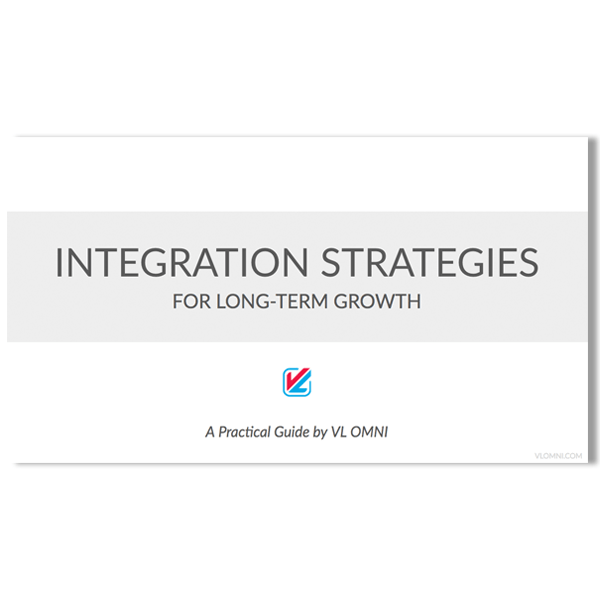 Speaking from a North American perspective, VL’s presentation focused on Integration Strategies for Long-Term Growth. Our presentation was packed with ecommerce insights and actionable advice. This well-received presentation was given during VL’s UK Roadshow. Speaking from a North American perspective, Robin H. Smith of VL OMNI presents a behind-the-scenes look at common traits winning multichannel brands have across strategy, technology arrangement, automation, and more. Download our Corporate Presentation to learn more about VL OMNI, including key services, technical information, featured partners, dashboard functionality, and more! 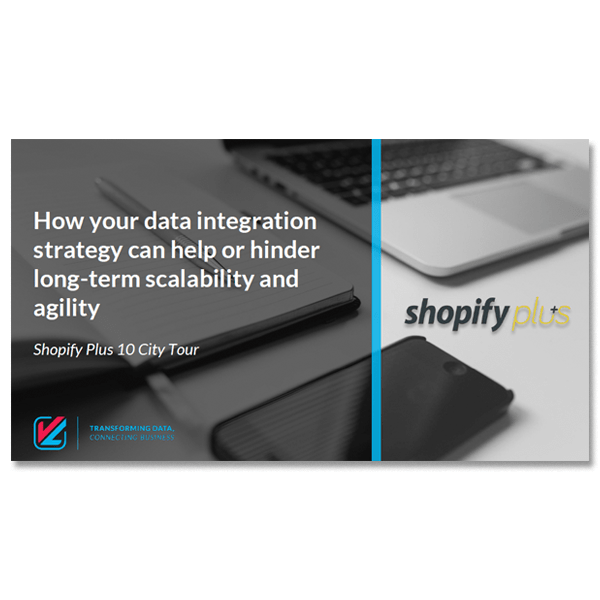 Download the exclusive presentation given at the Shopify Plus City Tour, Toronto stop and find out how to use data integration to take your Shopify Plus store to the next level. 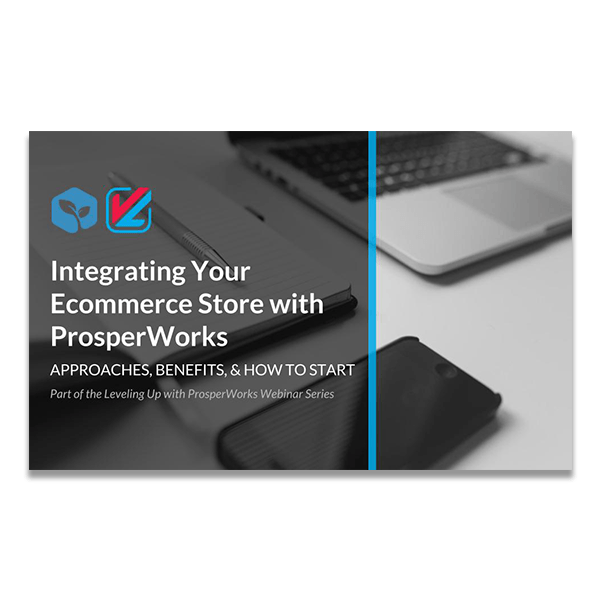 Recorded from the live webinar held on December 21, 2016, this co-presented webinar by VL and ProsperWorks looks at approaches, benefits, and how to get your business started with data integration between ProsperWorks and ecommerce platforms like Shopify, Magento, Volution, BigCommerce, and more. Download the presentation given by Robin H. Smith at The UK Ecommerce Expo 2016. 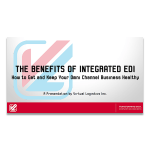 This presentation outlines what integrated EDI is, why it matters, and the benefits of integrated EDI. Included are key statistics and savings, as well as a review of key concepts. This presentation overviews how back-end omni-channel data integration has a direct effect on a business’ front-end customer experience and customer retention. 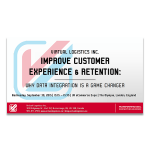 This presentation, originally given at the 2015 UK eCommerce Expo, provides unique insight through a joint North American and UK perspective with case studies drawn from real customer experiences. This presentation overviews four case studies where VL has been the solution provider. Each case study has a synopsis of the business case, challenges, implemented solutions, and results. 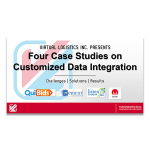 This presentation is a must-see if you or your business is considering data integration services. 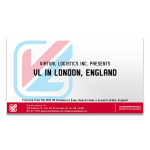 This presentation is a visual guide of VL’s time in London, England during the fall of 2015. You can learn more about VL’s thoughts, experiences, and trends we picked up on during our time in the UK. 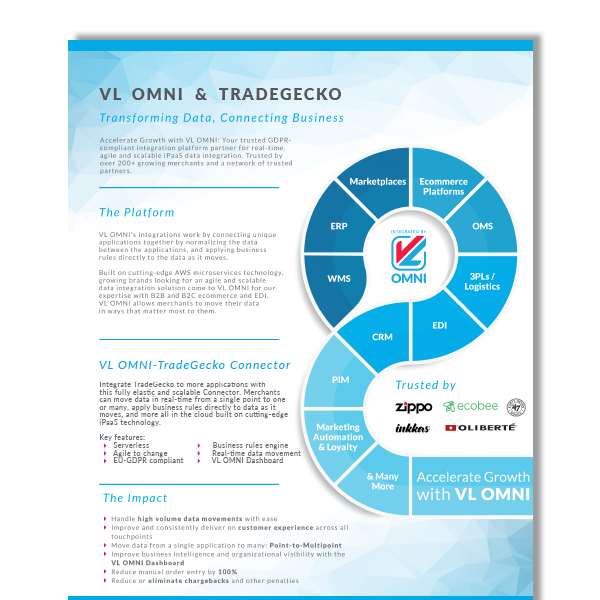 Take a look at some visuals that explain the VL OMNI process, what VL does and how we do it! Find all our demonstration videos, connector videos and visual recaps of events! 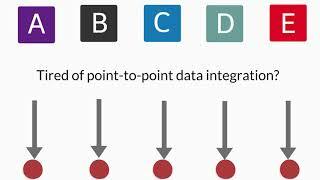 Tired of point-to-point integrations? It’s time to think point-to-multi-point. Are you curious to know exactly how VL OMNI can transform your data to fit your business rules, normalize your data structure and automate your business? VL OMNI connectors can be used between any two (or more) applications. 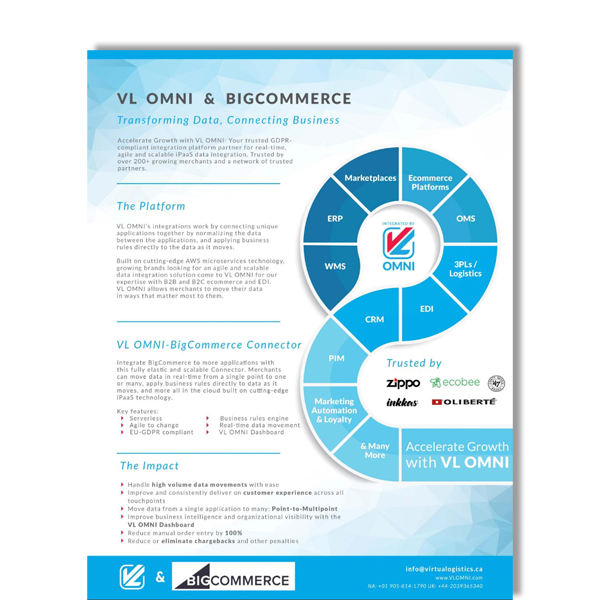 VL’s webinars go in-depth into issues that matter to the ecommerce data integration community. Get some great, insightful knowledge in these webinars full of experts and practical solutions. VL’s infographics give you a visual interpretation of the important aspects of multichannel data integration, current trends, and market changes.
. Ecommerce has come so far in only a few short years, but we still have a lot more work to do. 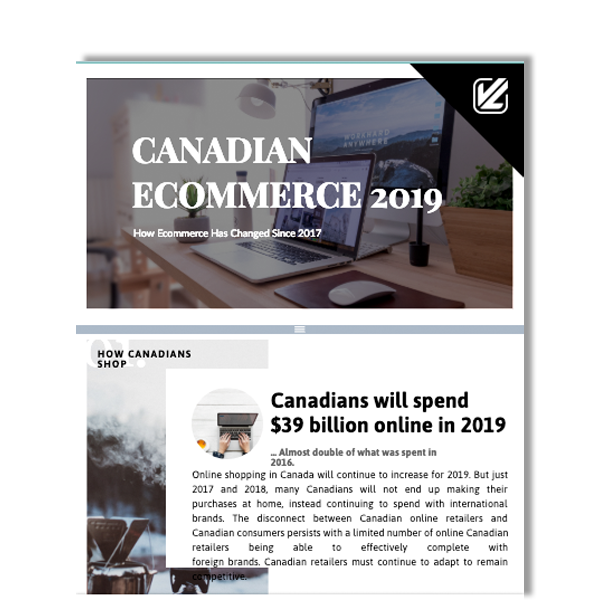 As we begin in 2019, we look at the state of ecommerce in Canada and what we need to accomplish in the future. From reinventing the brick-and-mortar experience to solving last mile delivery. Where is e-commerce headed in 2019? The sky is the limit! Find out VL’s top predictions in our infographic. 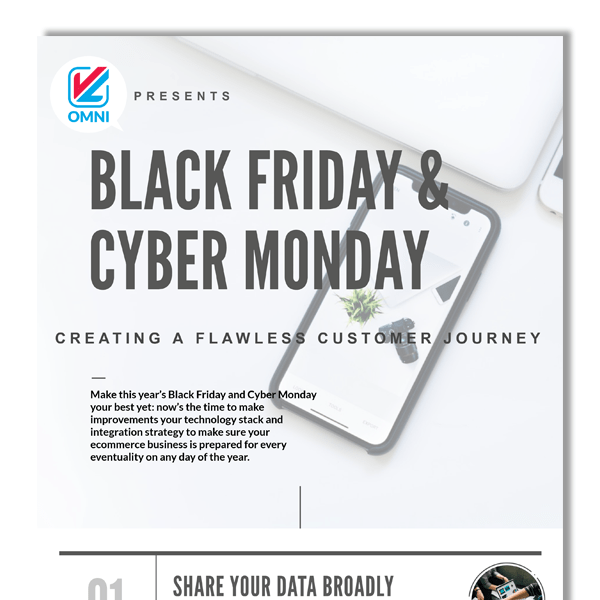 Is Your Shopify Plus Business Ready For Black Friday Cyber Monday? Take a dive into our infographic flowchart and find out if your business is for one of the biggest holiday seasons of the year. Are you ready for Black Friday Cyber Monday? Take a look at our infographic, we focus on creating a flawless customer journey through data management on the customer experience pathway to purchase. Understanding the ways your data moves in your business across the organization broadly and consistently is key. 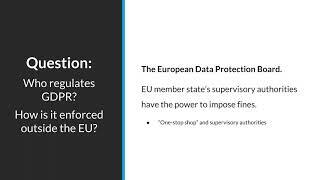 Also sharing your customer’s data securely is paramount in the GDPR-era. 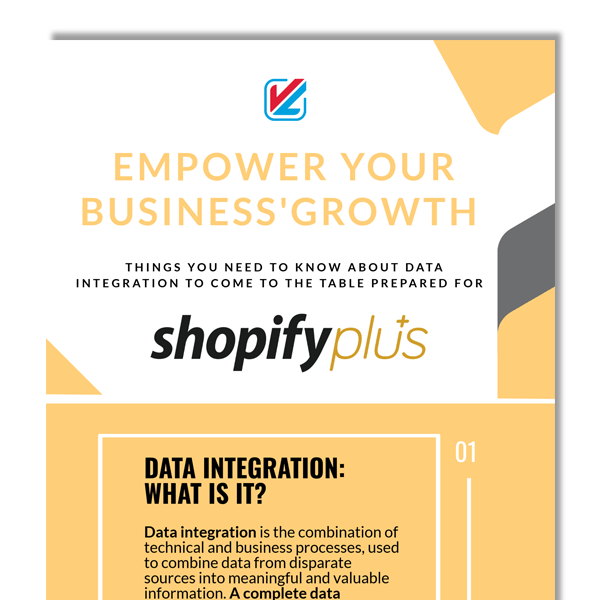 In this VL infographic, understand the basic fundamentals of data integration and what they mean to your business when implemented strategically. Empower your business growth by coming to the table prepared. 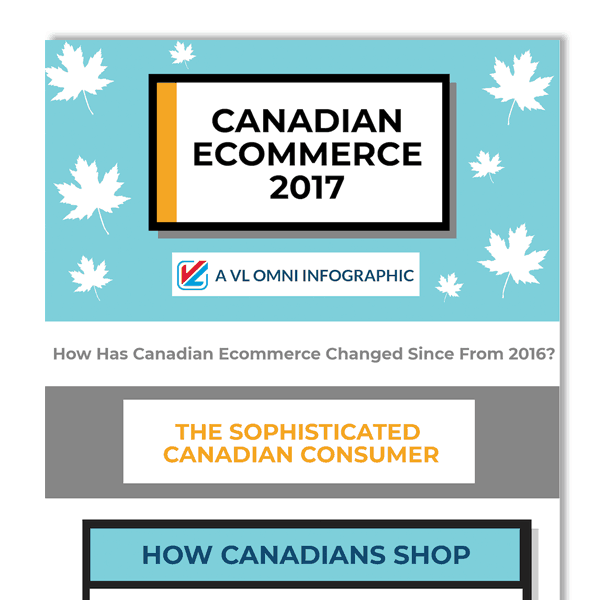 VL has actively kept track of changes in the ecommerce market since 2014 with infographics, and articles and it’s been amazing to see how far ecommerce has come in a relatively short time. Looking for detailed and indepth information on ecommerce platforms and the integration solutions needed to scale with them? Download VL’s in-depth whitepapers here. Integrate AS/400 to more applications this fully scalable and agile Connector. Merchants can move data from a single point to one or many, applying business rules directly to data as it moves and more, all built on cutting edge iPaaS technology. Integrate Nesuite to more applications this fully scalable and agile Connector. Merchants can move data from a single point to one or many, applying business rules directly to data as it moves and more, all built on cutting edge iPaaS technology. Integrate inRiver to more applications this fully scalable and agile Connector. Merchants can move data from a single point to one or many, applying business rules directly to data as it moves and more, all built on cutting edge iPaaS technology. Integrate TradeGecko to more applications this fully scalable and agile Connector. Merchants can move data from a single point to one or many, applying business rules directly to data as it moves and more, all built on cutting edge iPaaS technology. Integrate ProPack to more applications this fully scalable and agile Connector. Merchants can move data from a single point to one or many, applying business rules directly to data as it moves and more, all built on cutting edge iPaaS technology. Integrate Oracle Bronto to more applications this fully scalable and agile Connector. Merchants can move data from a single point to one or many, applying business rules directly to data as it moves and more, all built on cutting edge iPaaS technology. Integrate BigCommerce to more applications this fully scalable and agile Connector. Merchants can move data from a single point to one or many, applying business rules directly to data as it moves and more, all built on cutting edge iPaaS technology. Looking for ecommerce-specific resources? VL has you covered from all angles – data integration and automation included, of course. Bookmark this page as VL will be updating it regularly with new resources! Looking for inRiver PIM-specific resources? VL has you covered from all angles – data integration and automation included, of course. 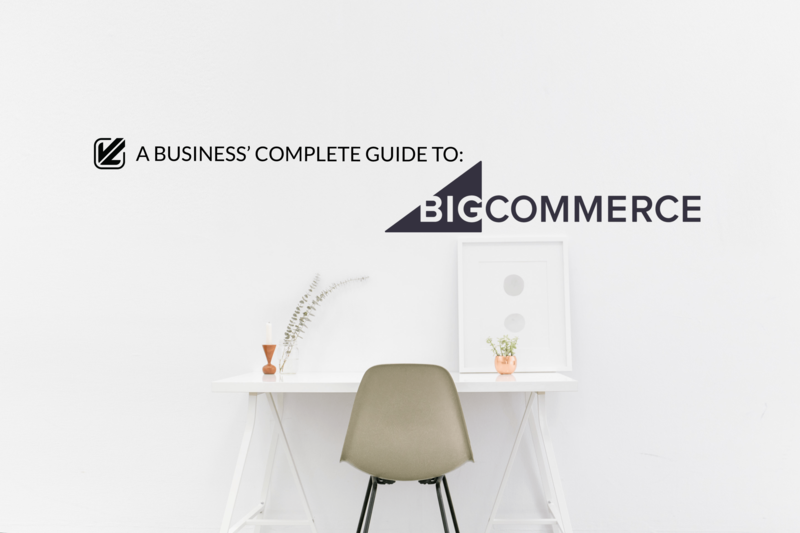 This page is a hub for all things BigCommerce ecommerce intelligence. 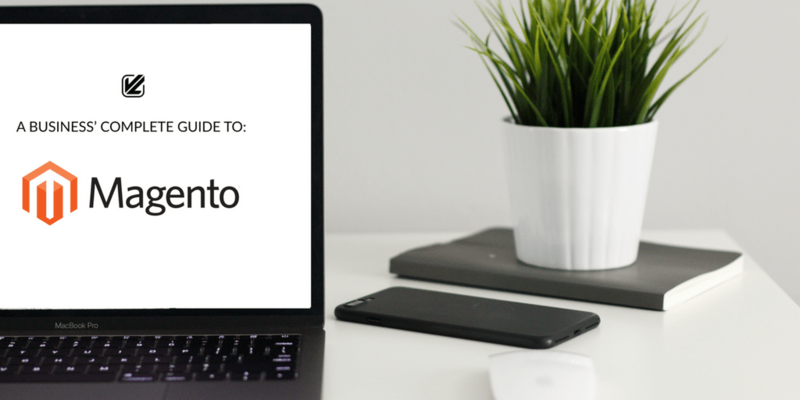 Everything you need to know to get the most out of your ecommerce platform. This page is a hub for all things Shopify & Shopify Plus ecommerce platform intelligence — everything your business needs to know for getting the most of your ecommerce. Does your business use Amazon? We compiled all our resources onto a single, master page. 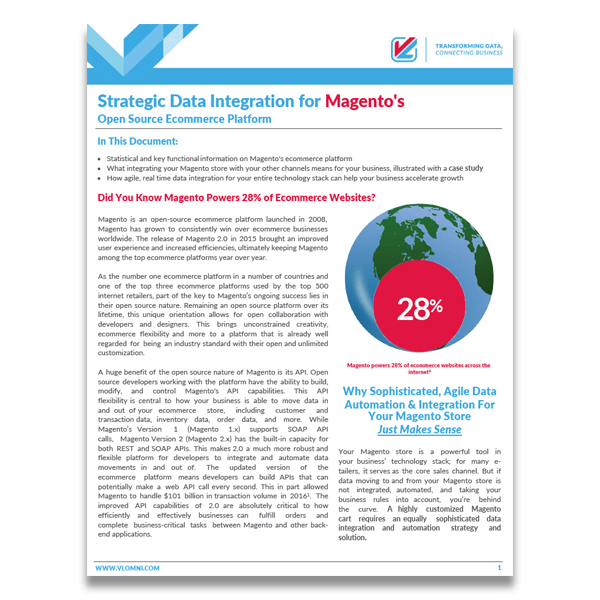 Looking for Magento-specific resources? VL has you covered from all angles – data integration and automation included, of course. Bookmark this page as VL will be updating it regularly with new resources! Does your business use Ebay? We compiled all our resources onto a single, master page. 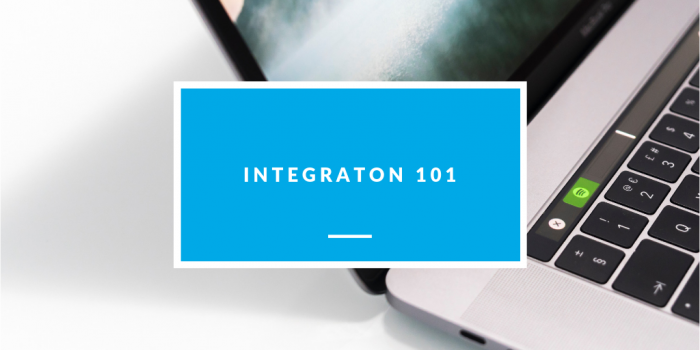 Integration 101 — learn about the basics of agile and scalable data integration and how to empower your business growth.